The engineering achievments of ancient egypt. Five thousand years ago–nearly two millennia before the Romans built their first mud huts–ancient Egypt's mighty pharaohs began commissioning and building monumental masterpieces whose scale, beauty, and sophistication still boggle the mind. 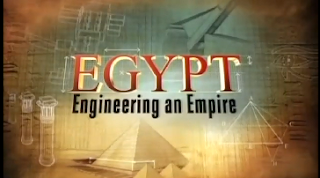 Peter weller narrates egypts awe-inspiring engineering accomplishments through the prism of its pharoahs indomitable personalities who pushed their royal architects to stretch the boundaries of the imagination & human potential essentially inventing the science of structural engineering.